Alexandria for Transportation – General Co.
Alexandria for Transportation & Trading Specialist for Transportation Services Company was established in 2006 under Egypt’s open door policy with regard to private enterprises. 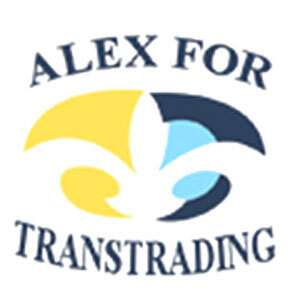 Alexandria for Transportation & Trading considers the pioneer in the transportation field in Egypt. We truly believe that our success based on our client success, our goal is not only delivering a service but also to build lasting relationship with our customers. As a Best-in-Class carrier we know that safety, service and speed are a top priority for our customers that are why we’ve made it a top priority for our business, too. Our expedited team service specializes in time sensitive solutions, and expedited delivery. We’re able to deliver your goods faster, which translates into more safety and security for your high value loads. Our expedited teams are manned drivers who have the expertise and reliability to deliver your loads securely anywhere in Egypt. Alex Company For transportation and trading owns a fleet 50 heavy truck to provide experienced truckload carrier service that can create customized solutions for any freight transportation need, and in-time delivery, safely and damage free.